Rural Preservation Society: The Society's AGM is on Wednesday 2nd July and this will proceeded by a free talk on "Preserving the Tradition and Character of Essex" by David Williams. All are welcome. The Society's next guided footpath walk is on Sunday 6th July starting at 2pm from the Village Hall and is titled; "Trees – old and new". It is easy walking and lasts for about two hours. It will be led by the Society's Chairman Peter Newton who is very informative on points of interest around Theydon. Even if you have lived in the village for some years you will probably discover something new. As above all are welcome. 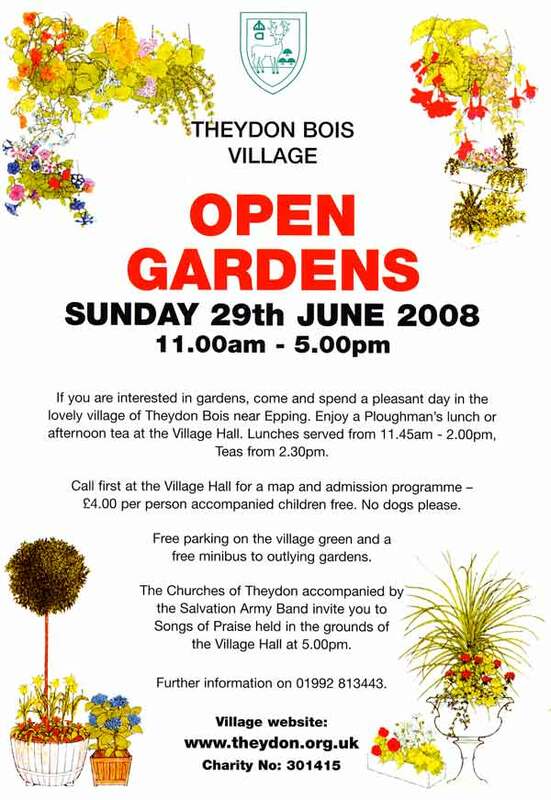 Don't Forget Open Gardens 2008 on 29th June: So far 22 Gardens which includes 1 new one, the churchyard and the allotments featuring the new Heritage Orchard - therefore 24 locations to visit. In 1998 when the Theydon Bois Scout Group were looking to raise fund , one of the leaders, Peter Simmance, hit on the idea of holding a Donkey Derby. It seemed very appropriate for Theydon Bois having had a long association with Donkey Rides and races through the Annual Donkey show that had taken place some 70 years earlier when people came from all over Epping Forest, Essex and London to crowd into the grounds of Birch Hall for the Event of the racing calendar as far as the villagers were concerned. The First Scout Donkey Derby was a great success. 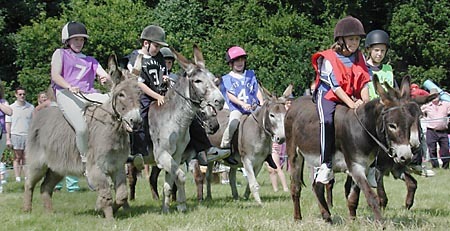 On Sunday 13th July 2008, sees the 21st Theydon Bois Scout Group Donkey Derby. Whilst the races have been a constant over the years , the side shows and entertainment and stalls have varied and have included Shire Horses, Trap Racing, Pop Groups, Falconry Displays, Piano Smashing and a Wild west Show, to name but a few. This year will be no exception. The Royal Anglian Regiment will be attending for the first time and provided the weather is kind to us, there will be Hot Air Balloon Fights. There will be Fairground rides , A Barbecue, Smash the Crocks, Inflatables, Prize stalls, Bric a Brac, Refreshment tent in total there should be in excess of 30 different attractions. Last year the Donkey Derby was due to be held on the plain, as it always had been since 1998. Whilst this provided a secluded sheltered location, it did pose access problems for many people. When it came to cut the waist high grass, shortly before, it was found that the plain was waterlogged, and impossible to cut the grass let alone hold a Donkey Derby. With one week to the Donkey Derby, this was not good news, but thanks to the support of Epping Forest authorities, The Parish Council and many others in the village, we relocated to the Green in the heart of the village. This move proved to be highly successful with many favourable comments being received, particularly from senior citizens who were unable to get to the plain but could access the Green. In view of the favourably feedback the 2008 Donkey Derby will be held on the Green again. St. Mary's Church is holding two events over the Spring Bank Holiday Weekend. The Flower Festival will take place from Friday 23rd May to Monday the 26th May and this is earlier in the year than in the recent past. This years theme for the floral displays is 'Lord Teach us to Pray'. On Friday 23rd from 7.30pm there is a preview reception, on Saturday there will be Festival stalls, including an exhibition by the Rural Preservation Society that will hopefully include pictures from the VDS Photographic Survey Day. Sunday there is a family service at 10am followed by the stalls display and Festival Music from 12 noon to 5pm, when there is a further Family Service. Monday it is the stalls again plus its also a special 'Fun Day'. 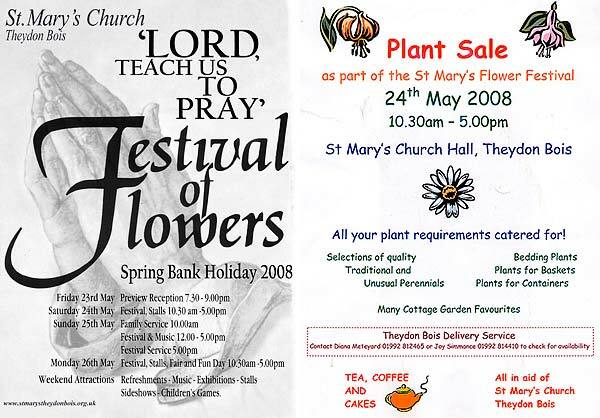 All the above events take place at the Church, but on Saturday 24th there will be a Plant Sale in aid of St. Mary's from 10.30am to 5.00pm in the Church Hall. on - Thurs 5th - Sat 7th June 2008. Performances start at 8.00 pm, £6.50 a ticket. Box office as always - Mr and Mrs James - 01992 812250. 'Four guests are invited by the Bliss family, an eccentric theatrical family, to their weekend retreat. Unfortunately with none of them telling any of the other family members, the weekend becomes a mass of mishaps and misunderstandings as the family live in a world where reality slides into theatrical fiction, to the despair of their unfortunate guests!'. John Morrison Philip (Conservative) was elected with 48% of the vote (771 votes). He defeated George Andrew Howard (Liberal Democrat) second (not elected) with 38% of the vote (610 votes). This seat was previously held by Kay Rush for the Liberal Democrats. Of the newly elected seats for the District Council, the Conservatives have 12 seats , Loughton Residents Association have 5, Liberal Democrats 3, British National Party 1 and Local Conservatives 1. Full Theydon Bois Ward District Council Election Results are here. The above 11 are now elected to the Parish Council. The full results for all the canditdates are here. On the afternoon of Thursday May 1st Elspeth Bonds, Theydon Bois Primary School Headmistress, together children and members of the P.T.A received a cheque from the Indian Ocean Restaurant at a small presentation. The PTA had held a Charity Night at the restaurant on the 17th March with of meals from their extensive menu, entertainment by magician Andy Clockwise and 2 raffles. The evening raised a total of £1600 for the school of which £1000 was donated by Jamal, the owner of the Indian Ocean from the night’s takings. The other £600 came from the 2 raffles that were held on the night. Theydon Bois School PTA would like to take the opportunity to thank Jamal and his staff for hosting the event so successfully and for the very generous donation and their raffle prize. Thank you also to all of the parents and children who supported the event. The raffle prizes were donated by large number of local businesses including Abridge Golf Club, Theydon Bois Golf Club, The Bull, Theydon Bois Balti House, The Queen Victoria, Belgique, Venus in Flowers, Fiesta Crafts, local author Jack Trelawny as well as many others. The evening was a huge success and will hopefully be repeated in the future. See the school news pages for more information about this and forthcoming events. Local Children’s Author Jack Trelawny visited Theydon Bois Primary School on May 1st to give a talk to Years 3-6 about his ‘Kernowland’ series of books. Jack read some of the chapters from his one of his books, ‘The Crystal Pool’ and presented a fun slide show to the children giving them ideas about how to write creative stories and where to look for inspiration. The series of books is based on the adventures of Tizzie and Louis, Jack’s own niece and nephew, when they go on a holiday to Cornwall and end up, by way of a magic Crystal Pool, in a parallel world that is Kernowland. The books are full of colourful characters and written in a way that encourages children to keep reading with short chapters and lots of ‘cliffhangers’. Jack was born and brought up in Cornwall so is well versed in Cornish/Kernow folklore and tradition. So far 3 of a total of 9 books have been released. The next instalment ‘Pigleg’s Revenge’ is due to be published later this year. At the end of the presentation Jack was kept very busy answering the children’s questions and signing lots of copies of his books for those that had pre ordered them. Anyone interested in finding out more about these books can do so by visiting theschool news pages or www.kernowland.com. Extraordinary Meeting of the Parish Council Report : This was an extremely well attended meeting probably as there was some controversy about the need to hold it prior to the imminent Parish Council Elections. It was called to deal with some issues surrounding the site of the Youth Centre off Loughton Lane that in the opinion of the Parish Council could not wait till after the election date. There has been an ongoing 4 year fight between the Villagers and the Parish Council with Essex CC over the closure of the Youth Centre and the attempt by them to sell the site to housing developers for the highest price. Following a Planning Inquiry granting outline permission for housing on the site the last two years has seen an attempt by villager Roy Newland with the assistance of others to get the open space at the site registered as a Village Green and this has prevented the development of housing on the site so far. Roy (and not the Parish) is personally liable for any costs and one of the motions at the meeting was intended to try to partially rectify that situation. The Village Green Registration meeting was due to take place on the 7th & 8th May, but following an offer from Essex CC that involves a transfer of the Youth Centre building and its Freehold to the Parish and the Freehold of the Scout Hut in exchange for housing on the remaining part of the site, a deferment is to be asked for and the Parish Council want to continue negotiations to see if an agreement can be reached that would avoid possible costs for both sides in a legal challenge over registering the site as a village green. The above map shows Essex CC's proposed division of the site. Red Area - transfer of Freehold to Scouts. 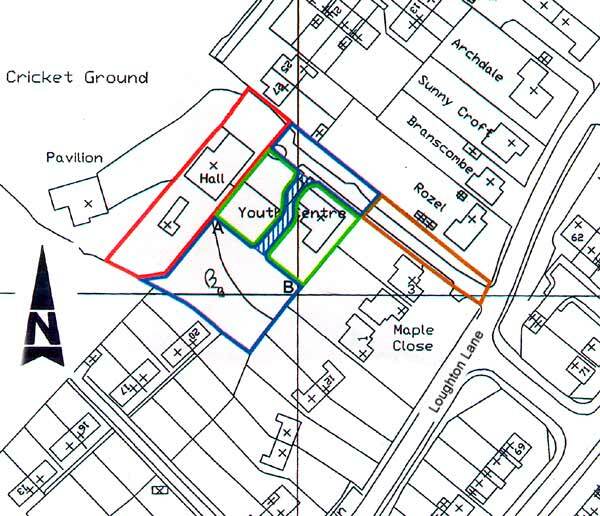 Green Area - transfer of Youth Centre Building and Freehold to Parish Council. Blue Area - to be sold by Essex with a suggestion that there will be a covenant for the building of no more than three houses. Orange Area - part of access road already in private ownership. 1. This Parish Council authorises Cllr Hammond and Cllr Purkiss, (or such other Councillor(s) designated by the Council), to continue negotiations with Essex County Council for the eventual transfer of the freehold of land, that includes the Youth Club and Scout buildings and the adjacent areas, to the Parish Council for a nominal fee. 2. When negotiations are complete the new Parish Council will consider a public consultation process for fully informing and obtaining views from residents to facilitate the new Parish Council making an ultimate decision for the good of the village. 3. This Parish Council authorises the expenditure of up to £1,500 for legal and surveying costs in connection with such an acquisition and/or the Village Green Application. The sum of £1,500 has presently been partly incurred and the remaining balance is provided only in case of need before the new Parish Council is able to have a public meeting for any further resolution. This sum will be met from reserves and any further expenditure shall be at the discretion of the new Parish Council. All the Motions were carried by councillors at the meeting. Questions from villagers about timings and the need for the meeting followed. There was discussion as to whether Essex CC could be trusted, if it was desirable to open the Youth Club at this location and if any housing on the site was acceptable for this relatively open space (although there is outline permission, subject to a Village Green challenge failing). Many villagers were looking for the best way forward following the adoption of these motions and that will certainly have to be a high priority item for the new Parish Council. The Minutes of this Extraodinary Meetng are now online here. 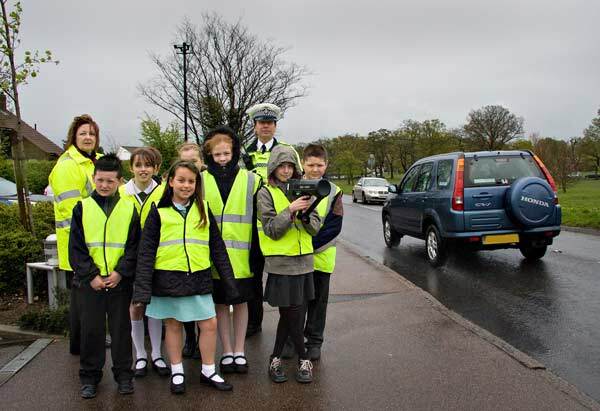 Children from Theydon Bois Primary School joined Traffic Officers from Epping and Harlow, together with the Essex Road Safety Unit outside the Theydon Bois Village Hall on Thursday 24th April to impress on drivers the dangers of speeding through the village. Officers stopped speeding drivers and they were then directed into the Village Hall Car Park where they had to leave their car and join the children in the Road Safety Unit. The motorist were not charged with speeding offences, but were 'lectured' by the children on the dangers they were causing. 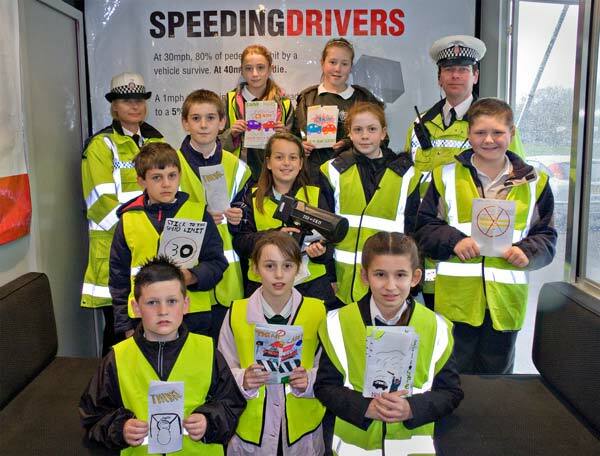 The Children also handed out their hand made leaflets on road safety to remind the drivers to obey the law and take more care in future. Loughton Festival: The first Loughton Festival was held in the spring of 2007. 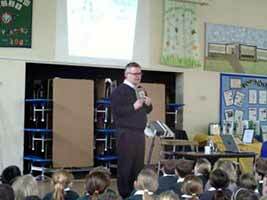 It attracted a large audience from the Epping Forest District and Further afield. Many travelled to Loughton to enjoy a weekend of talks, music, art events and an extremely popular walk through Epping Forest. In 2008, there will be a similar range of talks, music and other events, but unlike last year, the programme will be spread over a full week, starting with the first May Bank Holiday on 3rd May. New Eating and Drinking Information Pages: You have been asking us for this for sometime and now thanks to the hard work of Web Site team member Adrian McCarthy we have been able to add up to date information pages on all the places to eat and drink in Theydon Bois. We have added a link to these pages to our navigation bar and from the Eating & Drinking Index Page there are onwards links to the establishments own web site or a further information page created by Adrian. We hope visitors and villagers alike will find these pages useful. 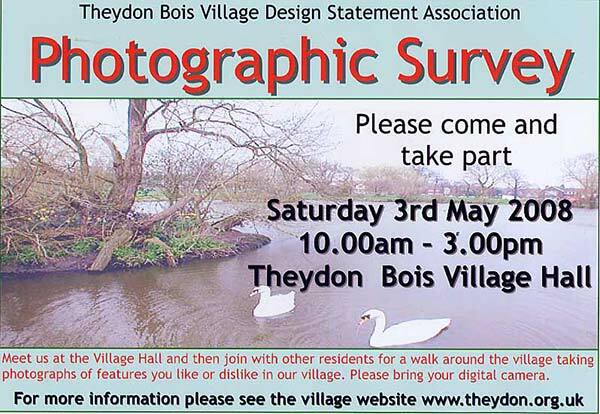 Theydon Bois Village Design Statement Association are holding a 'Photographic Survey' or 'PhotoShoot' day on Saturday 3rd May between 10am and 3.00pm. The idea is to follow up and add to the information that at present being analysed from the Recent Questionnaire that was circulated to every household in the village. All Villagers are invited to come with their digital cameras or as a helper or note taker to show visually what features they think are desirable or undesirable in our village. These photographs will help towards the preparation of the final Design Statement. All are welcome to participate and it is all FREE. 10.00am: Free Tea, Coffee and Biscuits. A chance to see photos already sent in and ask questions. 10.15am: Introduction. A brief synopses of the reason behind the photoshoot day and how it will contribute towards the Village Design Statement. 10.45am: Groups set off to photograph village features important to them . Good and Bad. 12.30 - 1.00pm: Groups return to the Village Hall for Free Tea, Coffee and Biscuits and to review their pictures and download copies (you will keep your originals and the copyright is still yours) to the computers manned by VDS committee members. It is then hoped participants will select 6 Photos each from their days shoot which will be projected for discussion. 2.00pm: Groups share and discuss the days findings using the photographs and notes made at the time of taking. It will only be possible to download photos from cameras with removable memory cards on the day (we should be able to deal with all types), but people with Mobile Picture Phones and Film cameras are welcome and should upload copies to the Special Web Site Page (see below) or drop copies into the Parish Office. Printable Guidance Notes for photographers in Word Format here. These will also be distributed on the day. Please try to come along on Saturday the 3rd of May for what should be a very, interesting, helpful and unusual day. If you can't make it on the day, but would like some of your photographs considered by the Village Design Association when making the 'Statement' then you can either drop them into the Parish Office or upload them for free to a Special Web Site page here. Go to Log In as member. 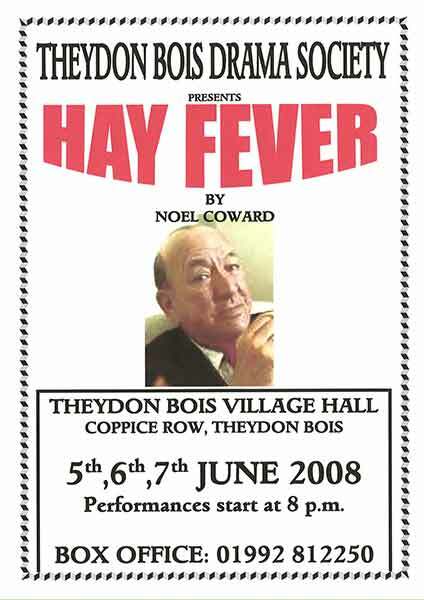 Click on either of the Theydon Bois Albums. Click; Upload and follow instructions. 3.1	Councillors to declare interests in any item on the Agenda. SATURDAY, 17th MAY – THEYDON BOIS TRANSPORT BAZAAR & BUS RUNNING DAY at THEYDON BOIS VILLAGE HALL. Up to 20 buses displayed in the car park and free vintage bus rides. Illustrated programme £2. The Bazaar is open from 11.00 until 16.00. Admission £2. Refreshments available. Please note no car parking at village hall. During the Easter period, the Flower Yard horticultural centre in Loughton Lane, which had been closed for some time reopened as the Theydon Bois Nursery. 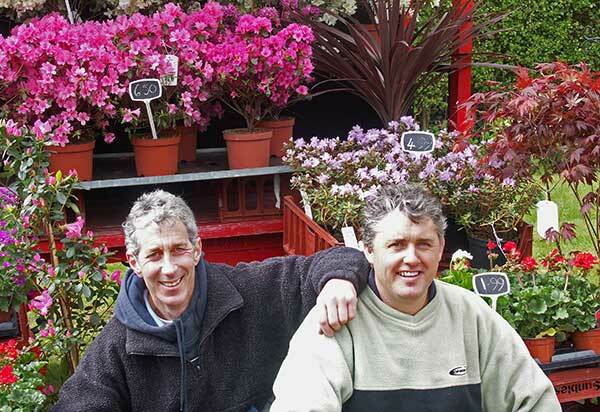 The owners of this new venture are Andy Goodwin (right) and Paul Lewis (left) who also have a horticultural wholesale business in the area. They intend to be open from 9am - 6pm, 6 days a week (closed Mondays) and stock a very wide range of plants that should be of interest to all the keen gardeners in Theydon. 1st June A country estate – then and now. 7th September Around the village boundary. * These walks have stiles to be negotiated. The walks are not too strenuous, start from the village hall at 2 pm. on Sunday afternoons, last for two hours and cover about four miles. District and Parish Council Elections: A list of the nominated candidates standing in this years election on the 1st of May for the Theydon Bois Parish Council has been published by EFDC. There are 17 nominees for the 11 Theydon Bois Parish Council Seats and full details can be seen page 25 of this PDF. There are 5 persons nominated for the District Council seats for Theydon Bois and full details are on page 21 of this PDF. Golf Course Dumping Petition: TBAG along with the Parish Council and Theydon Bois & District Rural Preservation Society have always been opposed to the inappropriate landfill methods used at the Blunts Farm Site. This has now become a national issue and TBAG hope to persuade like-minded people sign the petition on the Prime Ministers Web site. Theydon Bois Action Group has over the last three years been campaigning to highlight the inappropriate methodology of landfill for golf course construction. We have succeeded in stopping the dumping at Parsonage Golf / Blunts Farm by highlighting the situation to both EFDC and the Environment Agency who took appropriate action. We have also been successful in gaining exposure in the national press and on national television. Subsequently we have been contacted by another resident’s action group that have consolidated their information on an informative web site, that we have contributed to. Working with the help of Friends of Basildon Golf, residents fighting the development at Risebridge Golf Course Romford, Delapre Golf Course Northamptonshire and the Campaign to Protect Rural England NE London branch we have now taken the campaign nationally. Please click on the link above and sign the petition, encourage others to sign. We need to highlight this 'national scam' that allows 'unscrupulous' developers to profit from polluting our environment. The government is reviewing the exemption that allows developers to landfill green belt for the landscaping of land for leisure / golf course construction and TBAG are consultee's in this review. And encourage your friends and family to do likewise. Villager of the Year 2008: Prior to the Parish Council AGM on Thursday 27th March the Chairman's Rose Bowl for "Villager of the Year" was presented to Paul Argent. Making the presentation Parish Chairman Robert Glozier said of Paul "I'm sure he won't mind me saying that he that he is one of the real characters or personalities of our village. He has lived here for 50 years and is always an important source of knowledge on the development of Theydon over this time. Starting way back with his membership of the Cubs & Beavers he has been a member or supporter of many of the Village activities including; The Church Sunday School, Junior Church Leader and Music Society. Paul is a regular presence at Village Association and Parish Council Meetings and is always ready with a viewpoint. His memory and knowledge of village history will usually illuminate any issue. An example was in helping to show the continued use of the Youth Club Land as a public amenity, which has proved to be an essential element of the Village's case to gain control of the land as a public green space. I should also mention his practical skills. He is always ready as a willing 'pair of hands' to help people, often Cllr. Purkisss at the allotments or working on litter picking duty around the village. Just last week he was seen washing down the Theydon Bois signs at the entrances to our village! 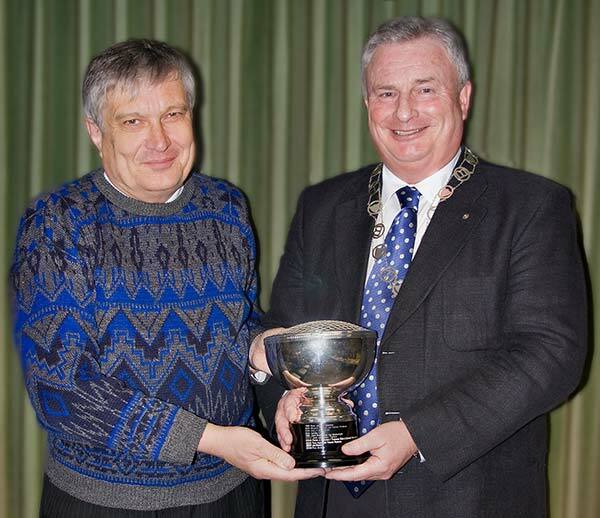 In summary, Paul Argent represents the heart of village life and it is a pleasure to ask him to accept this Rose Bowl as Theydon Bois Villager of the Year". Last Parish Council Meeting before Elections: The AGM and March Bi-Monthly Public meetings on Thursday 27th March were the last full meetings before the Elections on 1st May. Some of the present councillors will not be standing for re-election these are Cllr. John Eaton (who has served 3 terms & was Chairman for 4 years), Cllr. Robert Glozier (2 terms & current Chairman), Cllr. Mathew Hayday (1 term), Cllr. Martin Oliver (2 terms) and Cllr. John Padfield (4 terms). A presentation of an engraved 'whiskey glass' was made to these retiring councillors in thanks for there years of service to the Parish Council and the village. 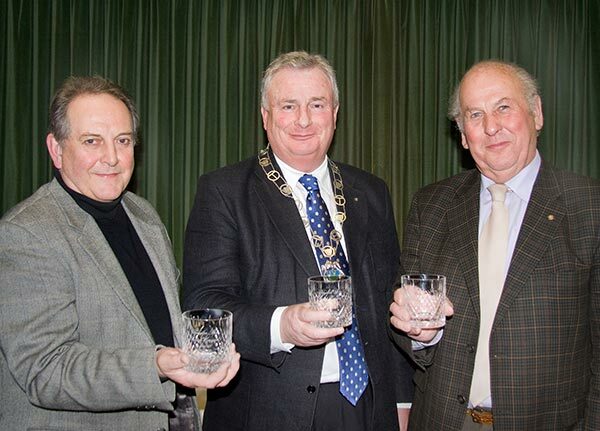 John Eaton, Robert Glozier & John Padfield with their presentation glasses. Cllrs. Mathew Hayday & Martin Oliver could not be present. Elections: Don’t let this year’s District and Parish Council Elections pass you by! Make sure you have your say on 1st May! The District Council and Parish Council seats in your area are up for election this year. Most people who live in the Ward/Parish are eligible to vote in the election because they are on the Register of Electors. To check that your name is included you can either phone Electoral Services or you can check personally at the Civic Offices in Epping, the EFDC information desk in Loughton Library, Traps Hill or at Waltham Abbey Town Hall. If you are not on the register, perhaps because you have moved since 15 October 2007 and you have not yet updated your registration, you will need to fill in a voter registration form. The final date to register is 16 April but don’t leave it until then, do it now. If you think you might not be able to go to the polling station on 1 May, you can apply to vote by post or proxy instead. The deadline for postal vote applications is 5pm on 16 April but, again, don’t leave it until the last minute to send in a form. To appoint a proxy to vote on your behalf you have until 5pm on 23 April. If you need to contact the Council about the election, the Electoral Services helpline number is 01992 564411. This year, local company, The Sowerby Group Limited has chosen St Clare Hospice as its ‘Charity of Choice’ for 2008. Having visited the Hospice recently, we saw first hand what a fantastic charity this is, offering support and care to people suffering from cancer, multiple sclerosis, motor neurone and genetic diseases, and serving the West Essex & East Hertfordshire areas. In order to continue their work, it is imperative that fund-raising features very highly on their list of priorities. In fact, it takes around £2000 per day to run the Hospice. You may have heard of the Midnight Walk predominately for ladies. Jacq Dodman and I (both from Theydon Bois) are helping St Clare Hospice to co-ordinate a 10k (6.2 mile walk) around the Harlow Cycle Paths. Precise details will be provided when we have more information, but in the meantime, if you are interested, the walk will be taking place on the evening of Saturday 21st June and will start from Harlow Water Gardens – so please put the date in your diary if you are interested in participating! Monies raised go back into providing support and care to sufferers and their families to ensure their stay at the Hospice is a memorable, comfortable experience. So, come on girls! It will be fun, friendly, fulfilling and fabulously liberating! To register your interest, simply email sue@sowerbygroup.co.uk or jacq.dodman1@btinternet.com and we will send across the relevant information when it becomes available or you can register on the St. Clares Web Site. 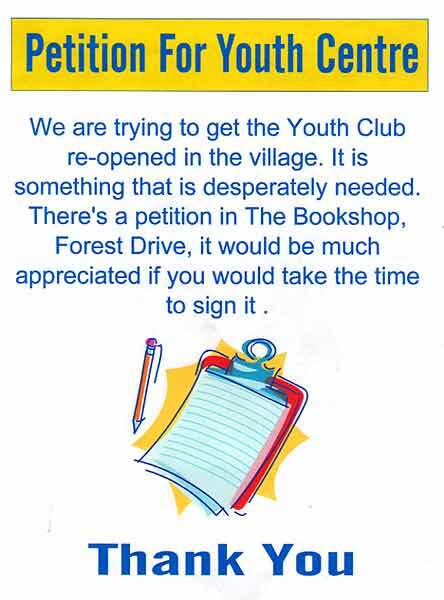 Please sign the petition or send a e-mail to Essex Youth Services. The burial supervisor at the village cemetery has indicated that he wishes to retire after many years service running our cemetery and has asked the Parish Council to find a replacement. communicating with grave owners and stone masons regarding installation and maintenance of headstones. Attendance at funerals is not a requirement of this job. The use of a telephone is required and basic computer skills would be useful but not essential. This job is a very important role in the running of our village and applicants should ring the Parish Clerk on 01992 813442 to find out more details.